Celtic beads and stunning 18mm gemstone centrepieces, threaded onto an approx. 17” cotton thong with a hook to fasten. 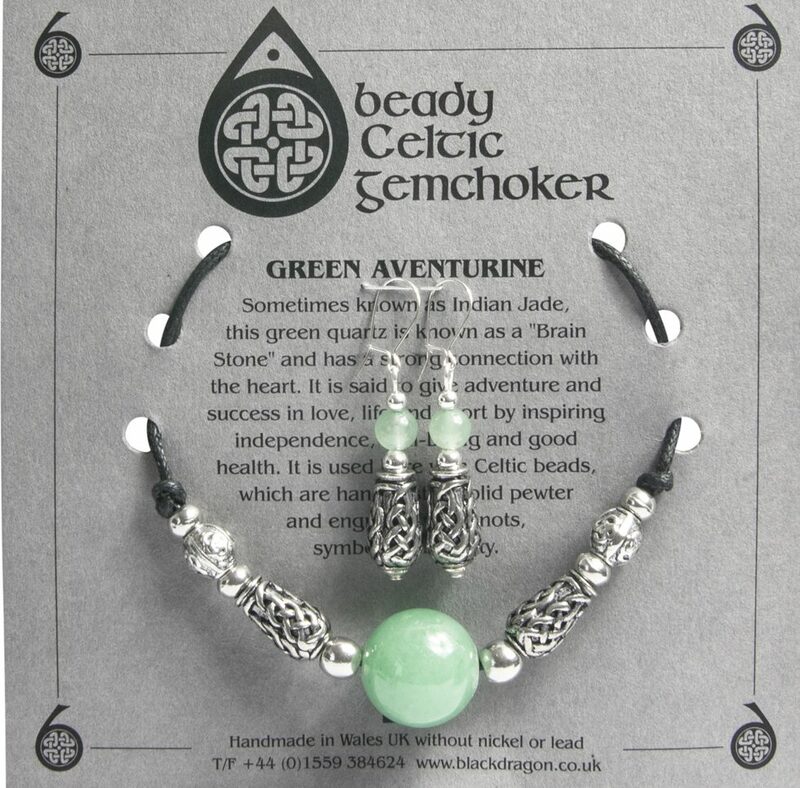 With matching Celtic bead and gemstone earrings, on sterling silver earwires. Packed on informative grey cards.